In Learning from Experience, Paula Moya offers an alternative to some influential philosophical assumptions about identity and experience in contemporary literary theory. 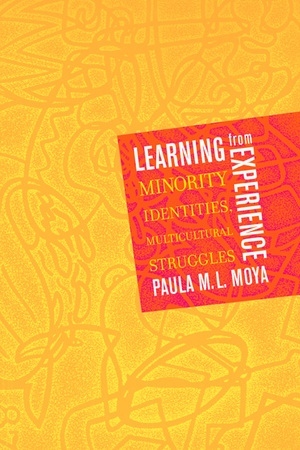 Arguing that the texts and lived experiences of subordinated people are rich sources of insight about our society, Moya presents a nuanced universalist justification for identity-based work in ethnic studies. This strikingly original book provides eloquent analyses of such postmodernist feminists as Judith Butler, Donna Haraway, Norma Alarcón, and Chela Sandoval, and counters the assimilationist proposals of minority neoconservatives such as Shelby Steele and Richard Rodriguez. It advances realist proposals for multicultural education and offers an understanding of the interpretive power of Chicana feminists including Cherríe Moraga, Gloria Anzaldúa, and Helena María Viramontes. Learning from Experience enlarges our concept of identity and offers new ways to situate aspects of race, gender, class, and sexual orientation in discursive and sociopolitical contexts.